Only the books that we have really enjoyed have made it onto our homeschool book list. Our family loves to read. We have read hundreds of books. Some books we have read out loud as a family. Others books are read privately and discussed. Each family member likes a slightly different genre. So some of the books listed are favorites of one family member but not the other. Throughout the years we have also tried to read books that others have suggested. For one reason or another we have set the book aside. Not every book needs to be read. Here are some of our favorites. Starting with the stories for the very young and continuing to what we are reading today. I started reading picture books with my children when they were babies. We enjoyed simple board books about shapes, letter, numbers, and animals. Here is a list of books that my children enjoyed as preschoolers and when they were non-readers. I also felt that it was important to read Christian books when my children were young. Here is my homeschool book list for Christian picture books. I used the series to teach reading. My son liked to reread them. There are three levels and six books in each level. Each is based on a Bible story. The books are phonically based. First and second grade children can read easier books from the list above. My children also liked to read the level readers during this time. Most of the early leveled readers are not note worthy literature but fun for children to practice their reading. Most children will be able to read from the selection below. I like to have biographies on my homeschool book list. I feel that it is important to learn about important people. I used Teaching Tips by Rebecca L Avery a lot when I first started homeschooling. It has a wealth of information about teaching. There is a homeschool book list in the back. The books are listed by grade level. There are picture books, series, and classical literature. Most of the books are available from your local library. I also used Honey for a Child's Heart: the Imaginative Use of Books in Family Life by Gladys M. Hunt it lists books to read to children from birth through age twelve. Honey for a Child's Heart is found in most public libraries. The book Honey for a teen's heart: using books to communicate with teens by Gladys Hunt list many more books. I found lots of books that I wanted to share with my teenagers. My children also looked in Honey for a Teen's Heart and came up with books that they wanted to read. Honey for the Heart lists books by different genres such as westerns, science fiction, historical etc. Reading Lists for the College-Bound Students by Doug Estell, Michele L. Satchwell and Patricia S. Wright lists books that children who want to go to college should read. Reading good literature can help us sort out how we feel about life. Some books present difficult ideas. We can discuss books with our children. Discussing can help our children understand what they believe. When we hear literature read it can help us learn proper English grammar. Reading can also improve our vocabulary. We can see how words are used in context. Any words that are new to us we should look up in a dictionary. Not only can reading improve our vocabulary it can also help us with spelling. Reading can also give us ideas for our own writing. Books expose us to different ideas, people, and places. Knowledge about different people and places can give our teens ideas on what they would like to do with their life. 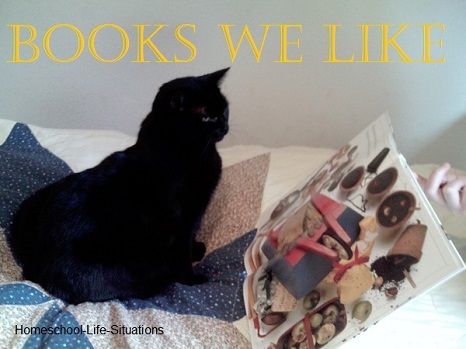 I hope that my homeschool book list will help you discover some new favorite reads.